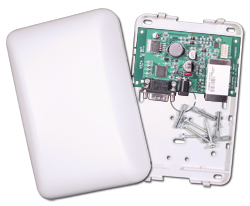 The M1-XEP module is responsible for connecting your Elk M1 Alarm panel to your home network. This makes it a critical component for eKeypad integration with the Elk M1. Occasionally, it may be necessary to perform a manual reboot of this module. This is a simple process and does not require any tools. To start, you need to locate the the XEP module. It is a standalone circuit board located close to your main alarm panel. Below is and image of the module. It may be mounted in the white enclosure you see or it may have been removed. The enclosure is attached on either end by clips and simply snaps on and off. 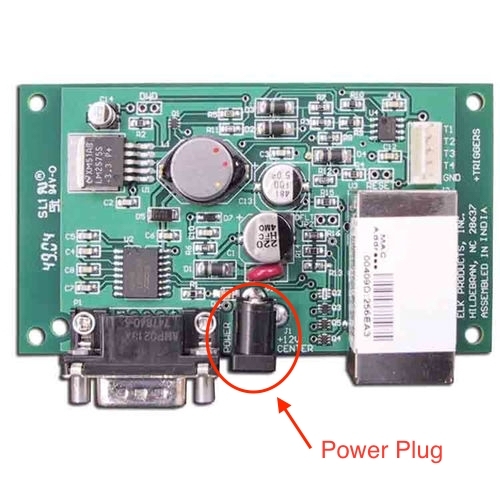 Once located, power cycle the module by removing the power plug. 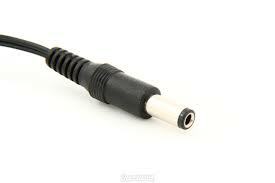 The power cable will be black with a small, round barrel connector. It should come out with very little effort. Once the power plug has been re-insterted it is very important to let the module power up. It is advised to give the module 10 minutes to finish re-starting.